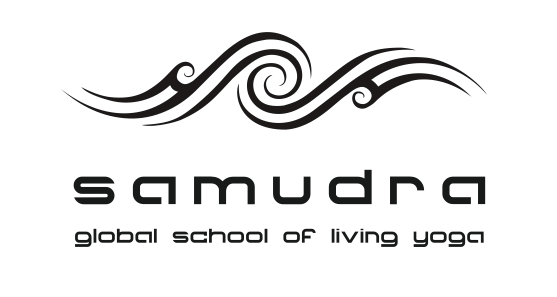 This advanced course runs over one year from October each year to September the following academic year, and again is based on nearly three decades (more than twenty five years) of my personal experience of living Yoga and Ayurveda and studying various techniques with a variety of teachers from different traditions. The aim of this Course is to expand and enrich a yogin/ini’s library of knowledge and experience so that he/she can incorporate a broad variety of techniques to reach their full potential as teachers. This course should allow you to reach your full potential in a unique, ever-new, inspiring and fully nourishing way. This program will therefore suits independent-minded individuals that want to accede the fullness and richness of this tradition while remaining tangibly rooted in living with integrity and contributing to the welfare of themselves and others in an active way. The program consists of 7 non residential week-long intensive Modules, offered once a year in London . Each of the seven Modules offered can be taken stand-alone and is valid as CPD ( Continued Professional Development). Please notice that this course will roll continuously and there is no particular entry point. The only two Modules that are sequential are Advanced Vinyasa Methodology I and II. The other Modules can be taken any time and at your own pace. You can spread the duration of the course over one, two or three years according to your lifestyle. How to practice and teach intermediate to advanced techniques such as Asanas and vinyasas, Pranayama, Mantras, Mudras, Meditation, Chanting, Kriyas, Visualisation & Concentration as well as free flow movement and relaxation techniques. Advanced Sequencing: how to design eclectic and effective Vinyasa Flow classes for intermediate to advanced students according to time of the day, season, location and different groups of students of Vinyasa Flow. Various structures of Flow. Use of props and hands-on adjusts for intermediate to advanced asanas. Sanskrit for Yoga, Mudras, Mantras, Chanting and Meditation Techniques. How to access your own very unique inner river of Creativity and Inspiration through art, colours, sounds, altar making, learning how to play a sacred instrument, accessing symbols, mandalas, yantras. Anatomy and Physiology of Endocrine and Nervous systems. Neuroscience : Yoga techniques and re-patterning the brain through neuro-motor pathways. Energetic concepts based on Tantra, Hatha Yoga and Ayurveda: the marmas, nadis and Chinese Meridians , the five vayus, the five Koshas and the Chakras. Subtle body and its counterpart in the physical body. The 14 main Nadis and the Nervous system, the Chakras and the Endocrine System and Internal Organs. Philosophy from the medieval Tantra system to modern day. Modern Yoga Upanishads. Extracts from The Bagahavad Gita. The Shiva Samhita and the Geranda Samhita. Myths from the Puranas . Yoga Lifestyle based on the Wisdom of Ayurveda is offered as a chance for the teacher to sync with the cycle of Nature and maximise their health. How to tune into the micro and macro cycles of Nature and respond to the energy of the day and the season with daily & seasonal routines. Diet & lifestyle choices based on the doshas (Ayurvedic constitution types). The seven Dathus ( seven Tissues )and Rasas (six tastes), review the basic concepts like the Bhutas ( Elements), the Gunas ( qualities) that are part of the Foundation Teacher Training. How to teach half-day / day long specialistic workshops, how to set up Retreats and Yoga Holidays. How to use Social Media / Advertising and Marketing in an ethical and inspiring way . This course is intensive and highly experiential open to teachers or experienced students ( with a 200hrs accredited Certificate) that want to refine their teaching skills and delve deeply in both directions, traditional as well as modern day Yoga . Eventually those on the Course will shift and will enable themselves to self-sustain their yogic evolution, not relying so much on external sources but entrusting their daily conscious choices, Sadhana and lifestyle to be the most powerful stream of inspiration and creativity. As for the Foundation Vinyasa Flow Teacher Training Course, this Course is structured so that the teacher will gradually learn and absorb new tools for living and teaching Yoga. Specialist Teachers will be offering Lectures in their field of expertise ( Anatomy, Tantra, Creativity, Mantra, Ayurveda, Myths and Bhakty Yoga). Includes progressive practice of traditional Hatha Yoga techniques and emphasis on asana, pranayama, mudras, Kriyas, Bandhas, chanting, Mantras, meditation and relaxation techniques plus training on how to teach the above. Focus in the Advanced TT is on Advanced Sequencing, Advanced Postures , more subtle forms of Pranayama with Benefits and contraindications, Meditation techniques , how to integrate mudras/ mantras/chanting in one’s Sadhana and classes. Relaxation techniques. Study of influential texts including Shiva Samhita, Geranda Samhita, Vijnana Bhairava Tantra etc. and its application in contemporary yoga classes. Wisdom from the Vedas & Upanishads, Yoga Sutras of Patanjali and Bhagavad Gita. Shaivas , Shaktas and Vaisnavas. Mhyts from the Puranas. There will be one Module Intensive based on the Wisdom of Ayurveda. We will cover Teacher Self care and Lifestyle through Dinacharya ( daily routines) and Ritucharya ( how to live in shync with the flow of the seasons). Diet will be advised which is based on the doshas ( Ayurvedic constitution types). We will discuss and study the seven Dathus ( seven Tissues )and Rasas (six tastes) of Ayurveda. In this part we will cover: Advertising, setting up classes, how to approach studios, business sense, promotion. Social media, insurance and self employment will be discussed and presented too. Could you advise me on the 300 hour course. I currently have my 200hr yoga alliance TT and would like to further my education but wondered if I could take the modules for the 300 hour over several years.